Cooler space is now available for sublease and is located within International Corporate Park. The property is ideal for distribution of flowers, foods, produce and other perishable products. 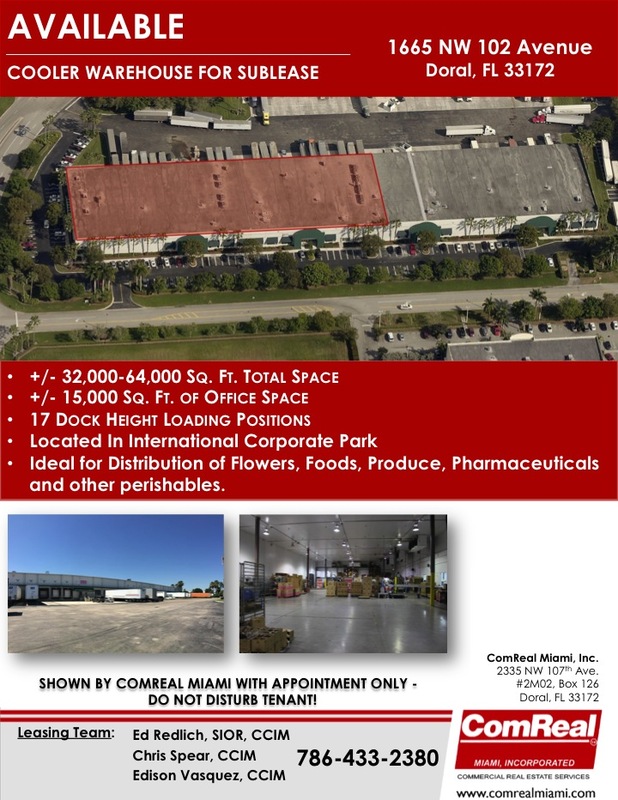 Located at 1665 NW 102nd Avenue in International Corporate Park in Doral. This refrigerated warehouse space in Miami is about 64,000 sq. ft. The existing tenant may be expanding and relocating later this year.